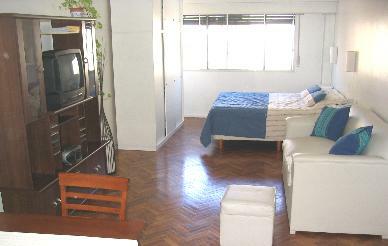 ObeliscoStudio is a sunny apartment located in downtown Buenos Aires. Just 250m away from Florida street and 400 m from the obelisk. Walking distance from the main attractions. 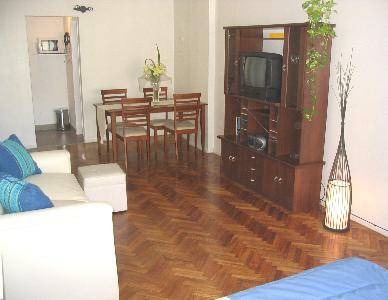 We also are travellers and have set up this apartment according to what we look for when we travel. English, Portuguese, French, Spanish and a little German and Italian are spoken. Florida street, dozens of restaurants, Puerto Madero waterfront, Obelisk. Colón theatre, Saint Martin square, etc. One day non-refundable rental payment is our policy for up to 15 days of rental. For longer periods up to a week of payment is requested although it is 80% refundable according to advance in cancellation. Bus and train terminal 600 m away. Local bus 20 mts away. Metro 200 mts away.